Ellie Rokicki & Allen Potts – Cranford: Ellie, a senior on the varsity basketball team, had a career high this past week, scoring 14 points against Carteret, leading the Cougars to a 60-55 victory over the Ramblers. Allen is a sophomore on the varsity bowling team. He has bowled five matches of 600 or higher and recently made it to the individual finals in the Union County Tournament. DJ Alicea – Dayton: DJ is averaging 16 points per game in 13 appearance this season. 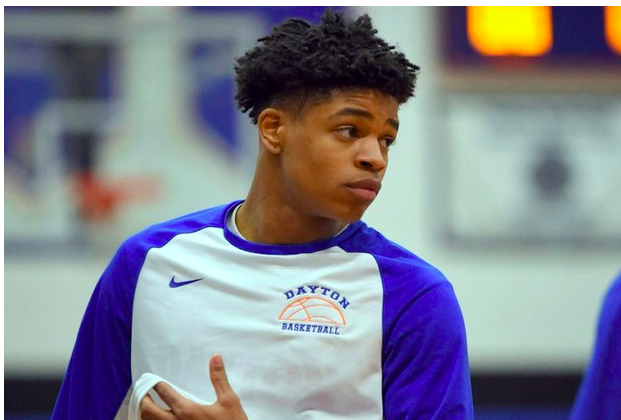 He also has made 8.3 free throws per game. 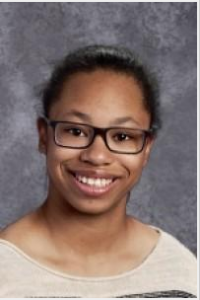 Cymantha Blackmon – Dayton: Cymantha helped the girls indoor track team to a 7th place finish at the North II Group I State Sectional Championships by finishing in 3rd place in the Shot Put. 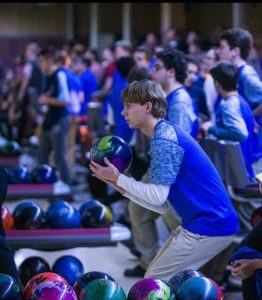 Will Shepherd – Westfield: Will bowled his first perfect game (score of 300) at the Westfield Warren Wheeler Tournament on 12/8/18. The perfect game was achieved during the very first game of the tournament. This past week, he captured the U.C.I.A.C. Individual championship. On the first day of the county tournament, Will bowled a 200/211/192 placing 8th to advance in the top fifteen individuals. Later in the tournament, Will bowled a 221/209/276 earning his highest series of his bowling career with a 705. This score placed Will in the third position for the five-man step ladder. Will competed against three other bowlers to win the championship in a five man step-ladder scoring a 236, 209 and a 210 to capture the championship title. Will has achieved five 600+ series in the season and currently sits at a 195 average. He is a graduating senior and co-captain to the Blue Devil bowling team. 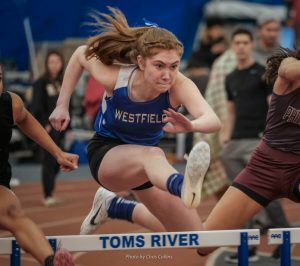 Lauren Triarsi – Westfield: Lauren set a school record set at the Yale Classic in 55H at 8.70. She also holds the School record in the two person high jump relay with Julia Csorba which they set at the County Relays. She is the sectional champion in the 55H and tied for 4th in the high jump. Lauren is also part of the 4th place shuttle hurdle team at County Relays and finished in 4th Place at UCIAC Championship in 55H.